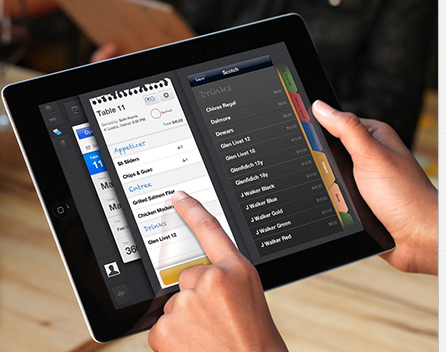 Groupon (s grpn) is pushing harder into payments and accelerating its pursuit of Square with the release of a new iPad point of sale system designed for restaurants, bars and cafes. Groupon is introducing Breadcrumb, an iPad(s AAPL) payment service that builds off of Groupon’s acquisition of startup Breadcrumb in May. 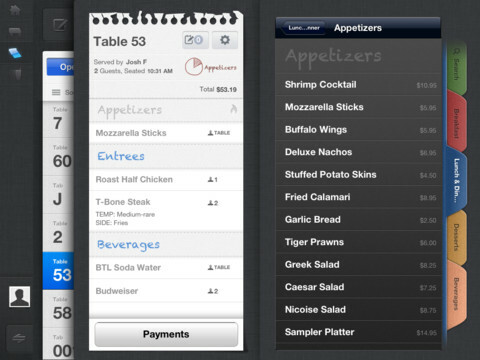 The service — which encompasses an iPad (s aapl), iPad stand, a mobile app, cash drawer, credit card swipe, printer, router and wireless access — will work with Groupon’s recently introduced Payments system. It will give restaurants and hospitality customers a way to update their point of sale systems and will allows employees to take orders, search for and manage menu items, process payments, split checks and view real-time sales data. Pricing starts at $99 a month for a one-iPad system and goes up to $399 for up to 10 iPads. The plans do not include price of hardware. Groupon will install the system for free and will offer 24/7 customer support. Groupon will charge 1.8 percent + $0.15 flat for every swiped Visa (s v), Mastercard (s ma) and Discover (s dfs) transaction, the same as Groupon Payments, which also charges 3 percent and $0.15 for American Express transactions. The move makes sense for Groupon, which is trying to become a broader local commerce resource for merchants. It introduced a Groupon Payments, a simpler general mobile payment system, last month, signaling its intention to compete with Square and a host of other rivals. With Breadcrumb, Groupon is creating something designed specifically for the hospitality industry. That might be an opportunity because Square Register, Square’s iPad product, is not designed specifically for restaurants. Many cafes and some small restaurants already use Square but it’s not as popular with bigger restaurants, who often need more robust features. Groupon is under the gun to find some businesses outside of its core daily deals. Payments is one piece of the puzzle as it looks to build a local operating system for merchants. Buying Breadcrumb gets Groupon in the door with restaurants but we still have to see if Groupon can provide all the services and features that businesses want. The company wasn’t established with payments in mind so it will be interesting to see if it can win over a lot of customers as it expands its business. Oh well, it seems mobile POS systems just keep getting bulkier. I personally don’t like clunky gadgets. I would still go for mPOwa personally. How does this pricing compare to current POS systems? Is there any huge advantage for businesses to switch over to this iPad-based solution?